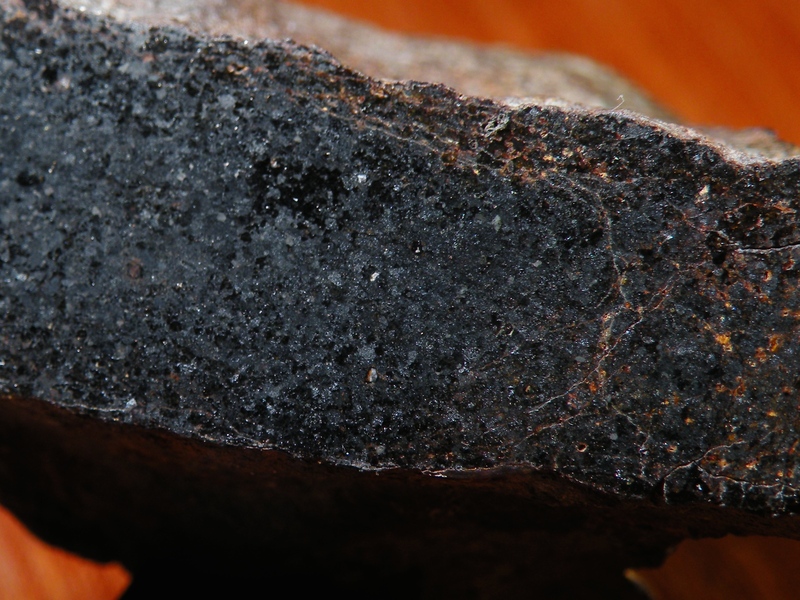 This meteorite is a primitive achondrite. 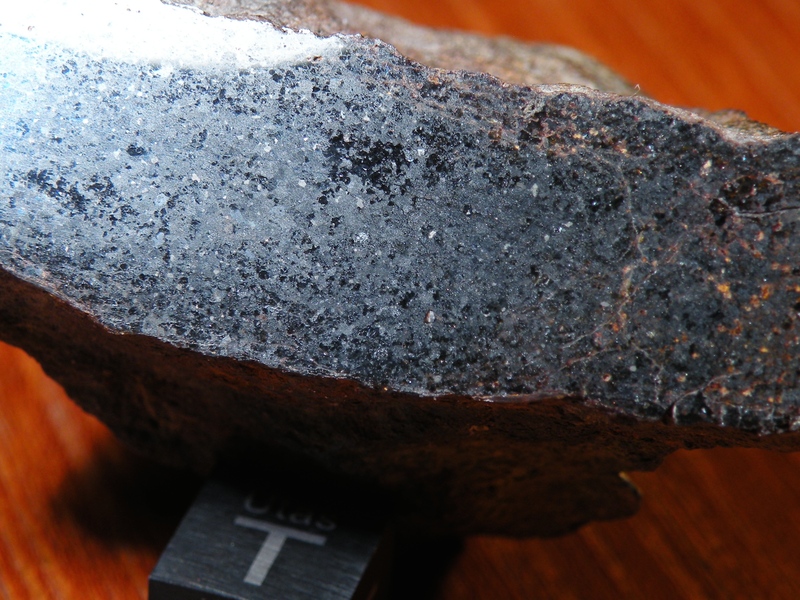 It retains ~20% metal, some sulfides, and hasn’t changed much since it was a chondrite. It has been thoroughly recrystallized, however, and there are no chondrules left. 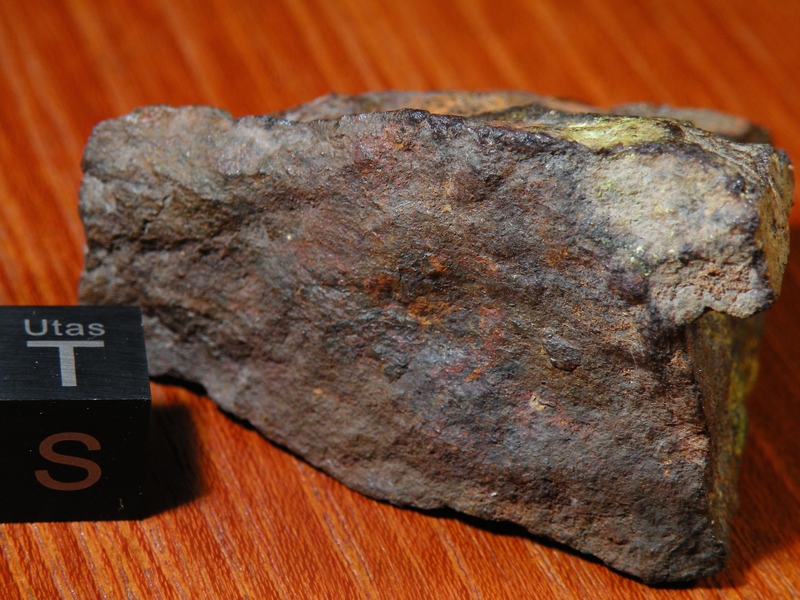 What makes this meteorite particularly interesting is the isotopic signature of the oxygen that makes up much of its mineral structure. That oxygen is a dead match for Earth’s. Which is very unusual, and kind of cool (*see below). The ancient crystallization age of this meteorite (~4.54 Ga) suggests that it formed just after chondrites did, along with the other achondritic meteorites (HEDs, Angrites, Acapulcoites/Lodranites, etc.). 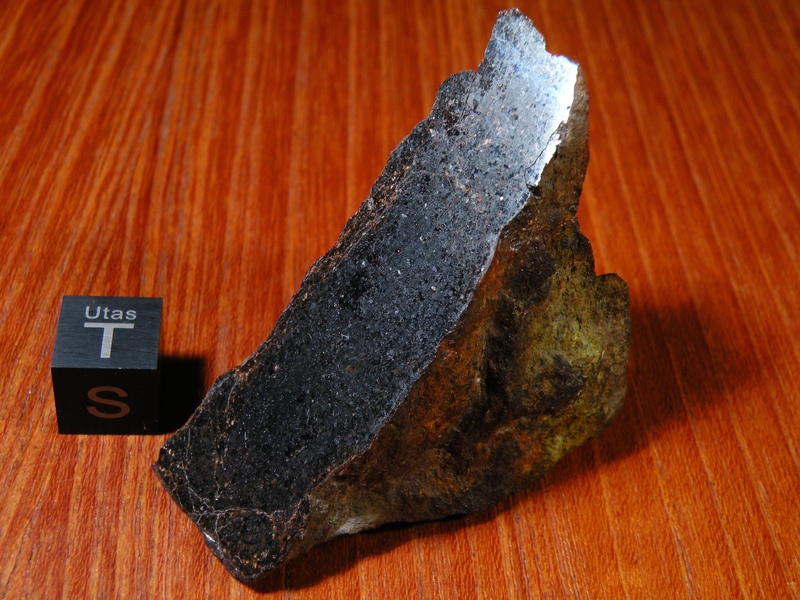 Some have hypothesized that this meteorite might represent a long-lost fragment of Theia; the ~Mars-sized body hypothesized to have struck the Earth ~4.5 Ga; the current leading theory is that the ejecta resulting from a giant impact formed a disk of material that coalesced into the moon. 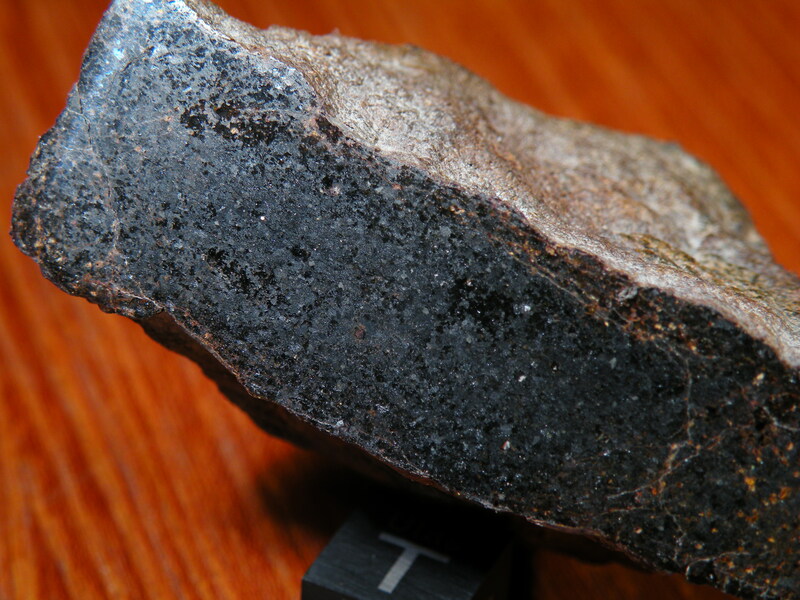 Regardless, it’s a cool rock with an enigmatic past that may be intertwined with our home planet’s. Slices from this particular specimen were used in a study at the University of Chicago, looking to obtain a better date for the crystallization age of the rock. 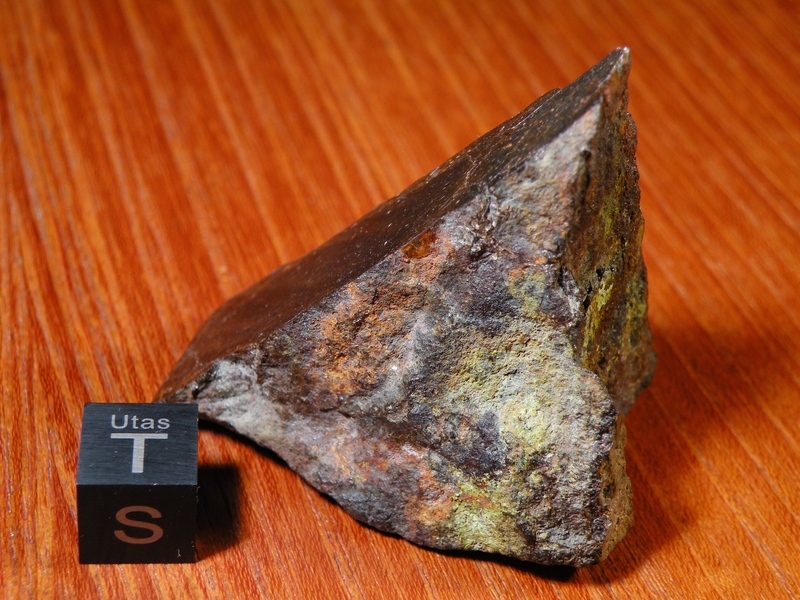 *Update (4/2014): Upon a closer investigation of the oxygen isotopic data, I am not certain of why this meteorite was deemed different from the other brachinites. The Δ17O value is less than most other brachinites, but when the data is viewed as a whole, it plots as only a slight outlier. 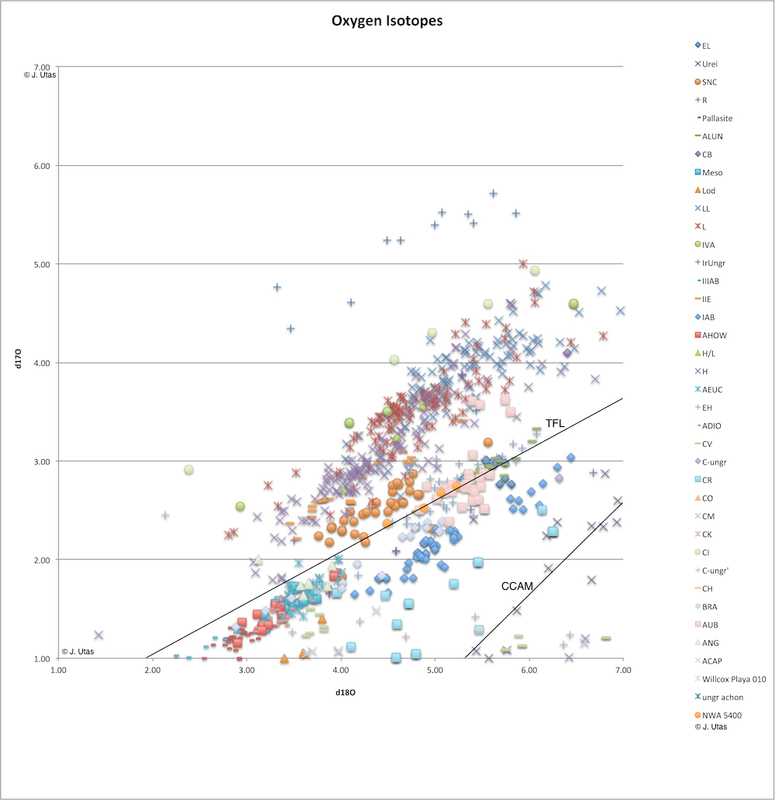 See below: NWA 5363/5400 oxygen isotope data are the slightly lighter orange circles (4) that plot along the TFL (see key). Note the light blue/grey diamonds (brachinites, see key) just below them, in a line that parallels the TFL. Note the spread in the brachinite data. 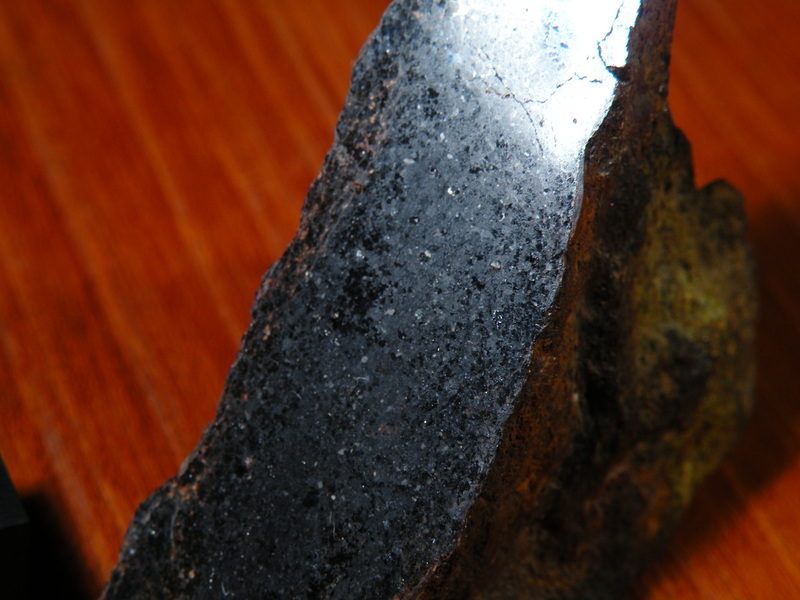 Then check out the spread in the other classes of meteorites. Note that many classes exhibit greater Δ17O spread (variation in distance from the TFL). 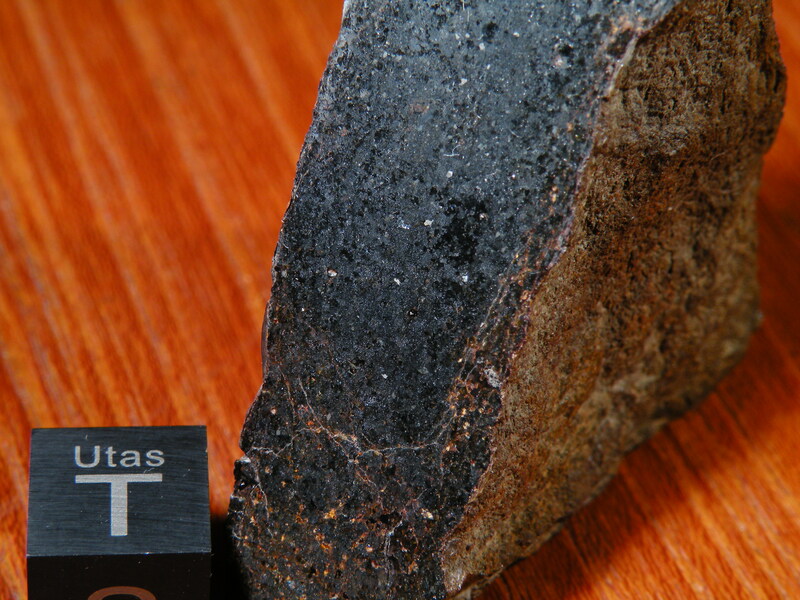 If the average of the symbols representing individual points is taken for NWA 5363/5400, this meteorite plots very near the edge of the brachinite field. Its bulk composition is essentially a brachinte. I haven’t seen other data that suggests that it is different. Anyway, here’s a 66.7 gram windowed fragment.